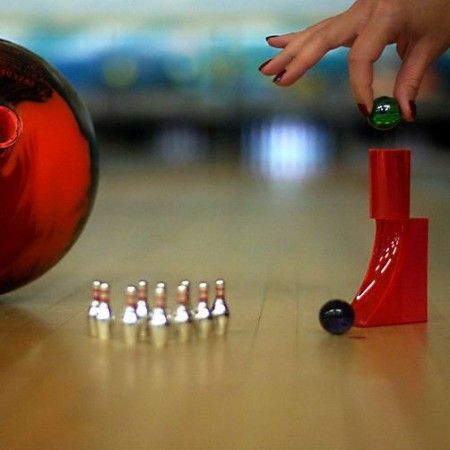 Are you the type of guy (or gal) that feels most comfortable in a pair of bowling shoes? Does the clap of a strike give you goosebumps? Now you can take your love for this fine American sport to the office with this desktop bowling set. Each set comes with ten pins, two balls, scoring sheets and a ball launcher.